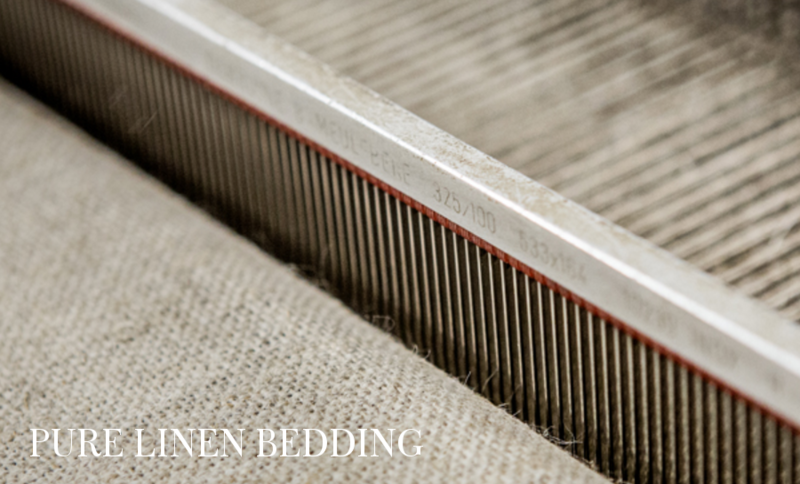 For linen enthusiasts there's nothing better than crawling into a bed dressed with pure linen bedding. At Goldgrass Home, we consider it a specialty, offering a wide range of linen sheets, pillows, bedspreads, duvet covers and everything you need to make your beautiful and cozy. If you've experienced pure linen bedding, you know what we're talking about. If you haven't, we highly recommend it. True linen is naturally soft, cool and comfortable, and it just gets better with every use and every wash. When taken care of, you'll love and cherish your linens for years and years. One of our main values is tradition. We try to find textiles, products furnishings, and companies that preserve wisdom passed through generations. Some things stand the test of time and have never been improved upon by modern methods. Linen is a true example of this. We deal with linen mills that are over a century old, such as Libeco, one of the true industry leaders. And several of our favorite designers and manufacturers such as SDH, Matteo and Area Home also source from the finest traditional mills around Europe. Visit us at Goldgrass Home and experience the world's finest in pure linen bedding.